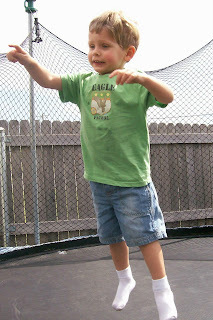 Dawson loves going to Chance's house to jump on his trampoline. He'll talk about the trampoline for weeks afterwards. Here's a shot of him in mid-jump.